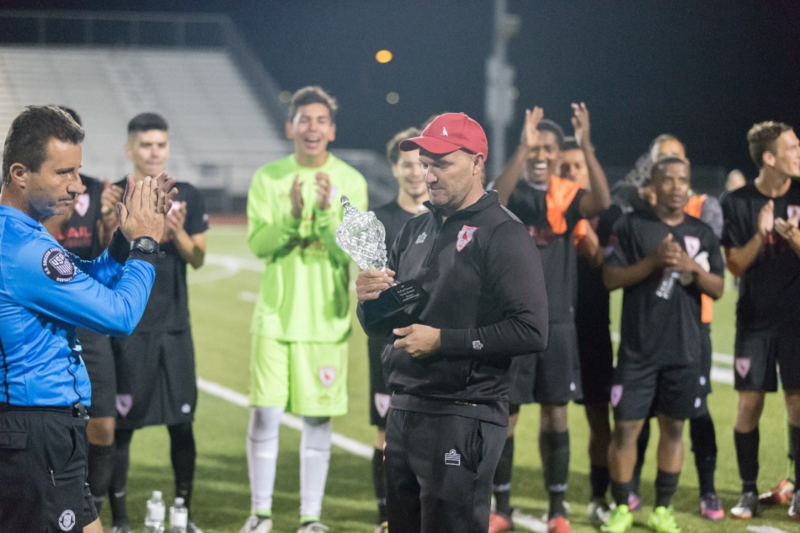 The idea Temecula Football Club was first discussed by Vince Paccione (former co-owner) and Brandon Jantz (current sole owner) at a local Starbucks. Vince and Brandon both grew up playing in the Temecula Valley and both went on to have football careers in college and the professional levels respectfully. 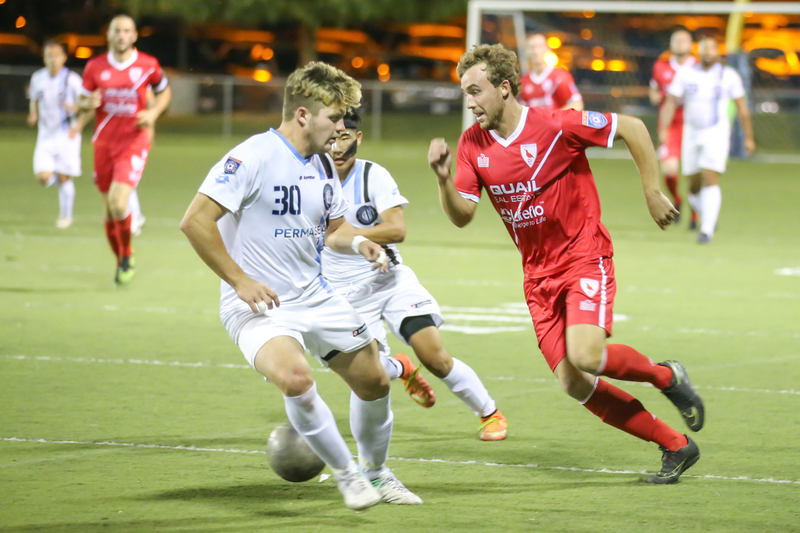 Vince and Brandon both agreed the young players in the community needed a football club to play for and the local football fans needed a club to support and agreed to join the NPSL.com for the 2014 season. Our shirts first had the Red Slash going horizontally across the chest. Temecula FC owner Brandon Jantz wanted something more recognizable and something unique in our valley so we went with a diagonal slash across our chest.